Update released to Beta Branch! Home / Update released to Beta Branch! Here we go – the new update is now live for the beta branch of Battle Brothers! This update started out with two major goals: reworking the perk system and introducing more complex injury mechanics. Both are included in this update, and while we were at it, we’ve also included lots of other changes and additions. Here’s the shortlist of features. New sounds for humans; every character uses one of six different voices now to shout and scream. More sounds for all voices incoming. Note that this update is not compatible with older savegames. You will have to start a new campaign! Why put this in a beta branch first? This update makes changes to many of the game’s mechanics with a rework of the perk system, the introduction of temporary and permanent injuries, and lots of smaller things all over. Extensive changes like these will inevitably upset the game’s balance and introduce new issues. Participating in the beta is optional for everyone that wants to experience the new content now and doesn’t mind a few hiccups – we’re thankful for your feedback and bug reports! Everyone else may want to wait a few weeks until the game is more balanced and any issues that popped up have been ironed out. Please report any issues you encounter in the forums here. Do not leave them as comments to this dev blog, they’d only get buried and lost. How do I access the beta branch? Right-click on ‘Battle Brothers’ and select ‘Properties’. Go to the tab labeled ‘BETAS’. Select ‘beta’ from the drop down menu. Steam should now download the beta branch and once it is finished you can normally run it via your Steam library. What a nice birthday gift! Thank you very much. Hey there devs. Just a quick feedback after a few hours of playing. 1. With the reworked medicinal supplies, there’s no easy way to tell if your merc are at 100% hp anymore. I have to manually go through everyone to check their health before accepting a contract. 2. While the permanent injury adds a realistic touch, the temporary injuries feels too random. Does certain weapon more likely to cause certain injury? Will mace weapons more likely to cause blunt force injuries than a sword? Will certain armor neglect certain injuries? 3. I wish there’s tool tip explaining injuries on an enemy unit. Currently, I can read what it is called but not what stat penalties it confers. I don’t want to have to injure my own guys just to learn what an injury does. Everything else looks good – the new surround mechanics is much more intuitive. Need more time with the new perk system though. Keep up the good work! Regarding your second point, the type of injury is governed by the weapon used and the body part hit. Yes, blunt weapons inflict blunt injuries, whereas cutting weapons inflict cutting injuries. The severity is governed by how much damage in relation to the victim’s maximum hitpoints the attack inflicted. The more damage, the more severe the injury may be. Thanks. I must have missed that when reading the injury blog update. Okay, not exactly a bug but on several occasions, I’ve seen ammunition being sold at different costs in the market place. I know specialized shops sell things more expensively then the marketplace but shouldn’t the same item all cost the same when in the a shop screen? I loved this new patch! But I agree with sqw’s first and third point, now I have to go to every brother to see if their hp is fully recovered and I wanted to see info of the effects of injuries on enemies. Also, I saw some strange injuries on wardogs, like pierced hand. That made me laugh but I don’t know if that’s intended. It adds so much depth to the game mechanics. I have no critique just wanted to thank you guys for making an amazing game. Amazin work guys, I’m enjoying every new feature you implemented. Carry on with that amazing game of yours! That’s strange. Berserk hasnt been touched actually. Regain 4 AP upon killing and enemy once per turn. Woohoo! Stopping other games to check out the changes! 1. Changes in shooting clear and correct as a whole, but the hit rate on teammate too overvalue. Little statistics : from the 20 “misses” on the enemy at a diagonal path 15 go in a single hex where is your brother back. 2. The system of injury + 7% adaptation + 3 hit per round + scary … why do we need a new silly imbalanced with daggers instead of stupid Nimble – swordmaster? I do not understand. 3. 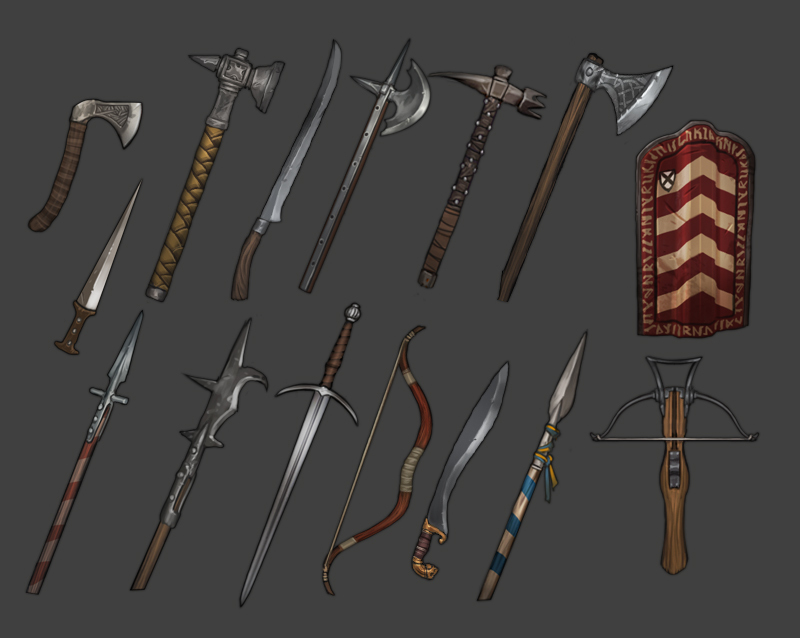 Perk specialization in Axes and Polearms – much weaker than the rest. Hey guys, amazing game you have here, one of my favs, would just like to make a small suggestion. It is very difficult to use aoe melee skills because of fear of hitting your teammates, how about a passive skill “teamwork” that allows members to grow used to working together the longer they fight together. In simple terms, there is new stat that increases dodge chance on a team mate depending how many battles you have fought together. So if u have survived 30 battles together you would be more likely to know how your teammate would fight, also being able to avoid his attacks. This is not a 100% dodge chance. 1) I used the bandages to heal an injury they were supposed to cure, but the injury remained indefinitely. A bandage appeared on the brother too. 2) I wouldn’t mind some trade-off perks. Like one that somehow increases a brother’s movement range at the expense of health or something. Or something like a sprint. I need my scouts! 3) I love the event-related brother traits, like injuries and traumatic memories! Please keep them coming. The more, the better IMO. Just wondering what the Veterans hall is going to do. Is it for training or hiring or what? Is there any way to minimize the active contract scroll? Sometimes I can’t find the cities that are in any corner of the map. There’s just one issue – my game seems to lack a temple in any of the cities. Is that possible? There’s always one village hidden initially. Maybe the temple’s there? Even so, 1 temple per map seems odd. We need more temples now. Preferably in the borders cities, to heal faster after a hunt.